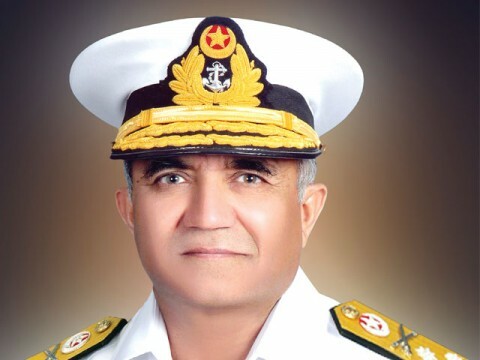 Pakistan Navy Chief Admiral Mohammad Asif Sandila has reiterated that Pakistan cannot remain oblivious of evolving regional maritime environment and consolidating its maritime force potential. Admiral Asif Sandila was speaking at the Convocation ceremony of 41st Pakistan Navy Staff Course held at Pakistan Navy War College, Lahore on Friday. “We are a peace loving nation but our maritime interests have to be safeguarded” the Naval Chief said. He said Pakistan continue to collaborate with Global and regional navies to deal with piracy and terrorism and this is evident from our participation in CTF-150 and 151. Holding of multi-national Exercises such as the AMAN series is another testimony to our commitment to peace and stability in this region. The Naval Chief said in view of the emerging developments, we are consolidating our maritime force potential across the conflict spectrum and make certain that it remains “resilient and credible”. Admiral Sandila, appreciating efforts of graduating officers, said that your graduation today should bring you a step closer to the reality that in your hands rests the future of our service. While extending his heartiest congratulations to all Pakistan & allied officers on completion of their important landmark, he commended the Commandant and the Faculty for their progressive and dynamic approach in academic activities to deliver in line with contemporary needs. The Chief Guest awarded degrees upon the graduates including 78 Pakistan Navy Officers, 2 Officers each from Pakistan Army and Airforce and 13 Officers from Allied countries of Azerbaijan, Bangladesh, China, Egypt, Nigeria, Qater, Saudi Arabia, Sri Lanka, Turkey and UAE. Earlier, in his address, the Commandant Pakistan Navy War College highlighted the demanding activities undertaken by the graduate officers with dedication during the entire course. Commander Qatari Emiri Naval Forces, a large number of distinguished guests, and Flag Officers attended the ceremony. This entry was posted in News and tagged Naval Chief, Navy Chief, Pak Navy, Pakistan, Pakistan military, Pakistan Navy. Bookmark the permalink.